* In the modernisation of large stocks of good late Cold War equipment to make them better than the majority of Western systems and less vulnerable to these. * In massive exercises such as the current Zapad 2017. * In the creation of new forward deployment bases. * In the consolidation of ever more effective bastions in places such as Kaliningrad Oblast and Crimea. * In the effective and self-critical lessons-learning from the Syrian experience. * In the comprehensive testing of both strategic cyber warfare and tactical reconnaissance-strike systems in the Ukraine. * In the creation of new large formation and the re-focusing of the conscript based reserve element to make the forces robust. * In the creation of large heavy lift tank transporter units to make fast and flexible forward deployment possible. The dynamic military reformer Nikolai Ogarkov, who tried to adjust to the Western Surge and his current successor Valery Gerasimov, who can benefit from a Russian military military reboot that has still not inspired the West to take the challenge seriously. 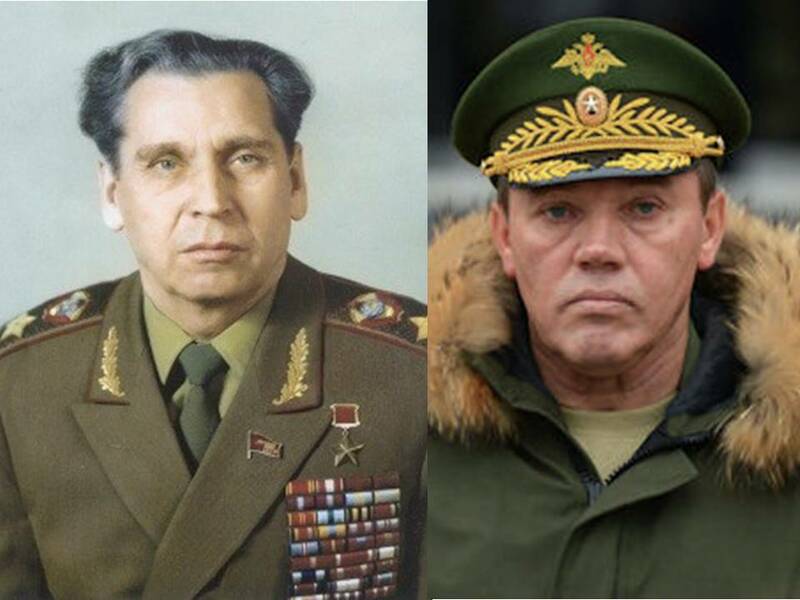 What Valery Gerasimov is doing now is similar to what Nikolai Ogarkov did during his years as General Staff Chief from 1977 to 1984 with his Operational Manoeuvre Group and enhanced readiness package: Not preparing for an inevitable war, but for a “Victory in Europe”-chance if war becomes inevitable or necessary for the state. This is the key duty of any serious armed forces’ leader … in case the reader has forgotten. The accelerated Gerasimov effort requires “full spectrum” preparations in all fields – geo-strategic, information, cyber warfare, conventional operational and logistic, etc. – as always built on the Military Doctrine’s scientific analysis of enemy’s and own developing strengths and weaknesses in all fields. 1) Compared to 35 years back, the U.S. armed forces are unable to maintain the number of units. The costs of replacing existing platforms and systems – especially but not only in the USN – have become prohibitively high. No matter what Trump does to change the trends by am increased Pentagon budget, he cannot find funds for approaching what Reagan and his Naval Secretary did then. The life extension potential for many platforms is limited, and the sums required for just maintaining all systems and reach what Russia has achieved since 2008 are staggering. Western catching-up with what has been lost in the last twenty years in the electronic warfare field and in high intensity warfare professionalism in officer command cadres may take a full decade (if we started, now which we don’t). Unfortunately Gerasimov will not allow his navy to build a “luxury fleet” such as Gorshkov’s that might have triggered a bout of USN creativeness to maintain quantity at a “good enough” platform level rather than insisting on the prohibitively costly sublime. 2) The U.S. can no longer pull forces from the Pacific. It cannot concentrate to Europe and the Atlantic in the way in did after the Vietnam War. Now China is likely to take advantage of any concentration towards the east of the far more limited forces. The American situation is that of 1941-42. 3) Then the U.S. had far more militarily robust allies in Europe. It was before the German Armed Forces were reduced to under-trained remnants counting working hours waiting for weapon systems in various private workshops to prove willingness to out-sourcing/before the conventional British Forces dropped all focus and capabilities for conventional deterrence and fighting/before the French conventional Armed Forces lost the remaining ability beyond internal security at home and in the former colonies. Even smaller NATO member states had meaningful forces in the 1980s. That is no longer the case. So where Ogarkov’s task was tough, Gerasimov’s is less so. However, both were limited by the lack of economic sustainability of his Military Doctrine. Ogarkov’s window of opportunity was closed in autumn 1983 and he was moved by Andropov’s frightened successor early the next year. If or when Gerasimov’s window is closing is an open question. 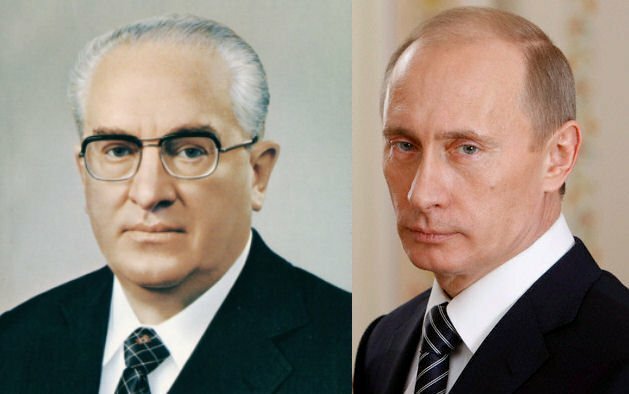 Putin’s physical and political health seems to be a good deal more robust than his predecessor Andropov’s was in autumn 1983. So far NATO members have tried optimistically with some flimsy window dressing. Cannot do much more with the resources available.